What a great thing it is to have friends who get excited about the same things you do. Makes you feel kind of attached to the world all over again - a renewal, in a way . A friend reminded me of this a couple days ago when he related a moment in his life in which he witnessed an event in nature that may happen more often than we know , but is seldom seen. 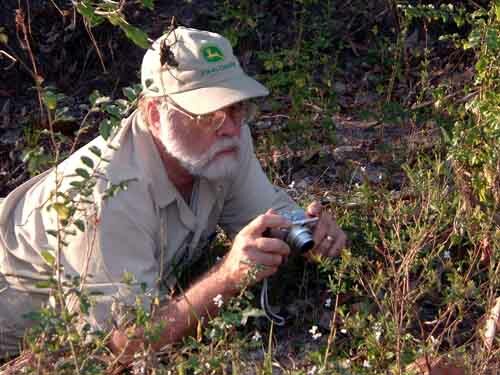 His name is Steve Stone and he is a biologist working in the Atchafalaya Basin. Wh en he told me of this event I asked him if I could post this in Riverlogue as a way of sharing it with others of like mind. Even though this happened a few miles outside of the Basin, I thought it appropriate to include it here. I have seen eagle/osprey/crow interactions often enough to not be too surprised by what Steve saw. The pictures are mine except for the big eagle, which is from a brochure published by the Eagle Expo event promoters. 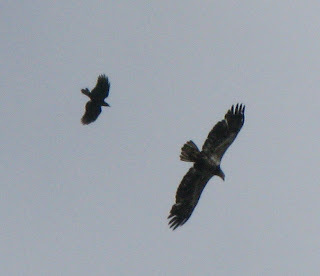 The crow chasing an immature bald eagle is not an uncommon sight, and this took place over the river. The cattle egrets sitting on cows is also a thing easy to find. So, here is the story as Steve wrote it. 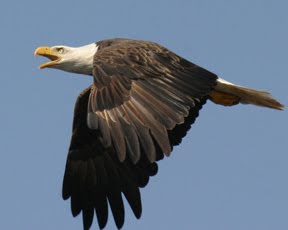 “Bald Eagle Captures Cattle Egret 200 yds above Hwy 190! On Thursday Feb 18, 2010 at approximately 4:30 p.m. right above Hwy 190 between Livonia and Erwinville (approx 1 mile West of the landfill) I saw one of the most amazing sights of nature occur. I was driving home from wo rk and saw a large dark bird making small clockwise circles above 190. At first I through it was a vulture but noticed that the wings weren't tipping as a vulture does, so I kept one eye on the bird and the other on the road. As I drove nearer I saw a smaller white bird in front of the darker bird and the darker bird looked to be chasing it. It was then that I saw the white tail feathers and white head of the dark bird and realized it was a Bald Eagle and then realized that it was trying to catch a Cattle Egret. I watched them do approximately 8 circles, although the Egret was trying to fly straight away the Eagle kept coming at it from the Egret’s right side making it turn clockwise. I was just about to pass them at this point when I thought this was way too cool not to stop and watch this event taking shape about 200 yards above my head and quickly went from the left lane to the side of the road, I do believe I really ticked off the guy in the right lane but too bad, this was just to awesome to miss. I jumped out of my car quickly and searched above me for the 2 birds but couldn't see them, they had gotten between me and the sun. I lost sight of them for approximately 45 seconds to 1 minute, while pulling over parking, getting out and trying to find them. By the time I did see them a gain they were joined together. The Eagle was on top and the Cattle Egret below him with the Eagles talons wrapped around the Egret. The Eagle then flew ESE from Hwy 190 with the Egret clenched in its claws. He was flying in a straight line over a green field about 80 yds above the ground, at one point the Eagle faltered a little bit but caught itself right away and flew over some trees and that was the last I saw of them. The river reads 16.5 feet on the Butte La Rose gauge today, falling slowly to about 16.0 feet next week. The Ohio and Mississippi are both falling all the way up, and it’s a good thing too. There is not much room in the Basin for the spring rise right now. We’ll see. This morning there is snow on the river. It has happe ned before but each time there is something different about it – sometimes beautiful and sometimes threatening. It probably has to do with who we are and where we are at the time, so to speak. Today the snow seems only moderately alien and the birds are ravenously consuming all the sunflower seeds they can find. Even flocks of blackbirds are diving in en masse to pick up what is provided. They are not especially welcome. They seem gluttonous and greedy compared to the more sedate white-throated sparrows, goldfinches and cardinals. Because the blackbirds make a good gumbo, there is temptation. I count at least 55 cardinals in the top picture. The river is at 16.5 feet on the Butte La Rose gauge, holding steady and then falling slowly toward the latter part of next week. The Mississippi and Ohio are behaving modestly and no big changes show up on the predictive scales. It is a very good thing that the river fell ten feet from its mid-winter high, allowing some room for the current and future expected high water.